Hyundai India, second largest carmaker in India has launched the all-new stylish, premium and powerful Sports Utility Vehicle (SUV) dubbed as CRETA in India as well as for the global market. CRETA has built lot of expectations by its pre-launch events which attracted over 10,000 customers. By launching Hyundai Creta, the company has now strengthened its position in the Indian SUV market which is dominated by SUVs like Renault Duster, Ford EcoSport, Nissan Terrano and more. 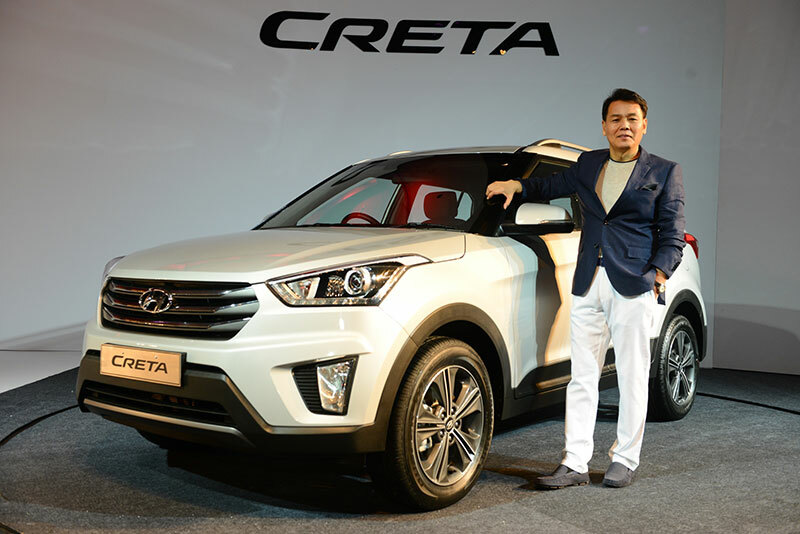 By launching Creta, Hyundai has extended its product portfolio. Hyundai CRETA Crossover offers a good combo of power as well as style with its well-built and robust body structure, top-notch engine performance and confident ride and handling. Hyundai CRETA is set to make a strong statement in the growing SUV industry. The brand new SUV is based on Hyundai Motor’s evolved ‘Fluidic Sculpture 2.0 Design philosophy’. We are delighted to launch the perfectly engineered and powerful SUV for the new generation customers. CRETA is a revolutionary product – a true expression of the ‘New Age Hyundai’. 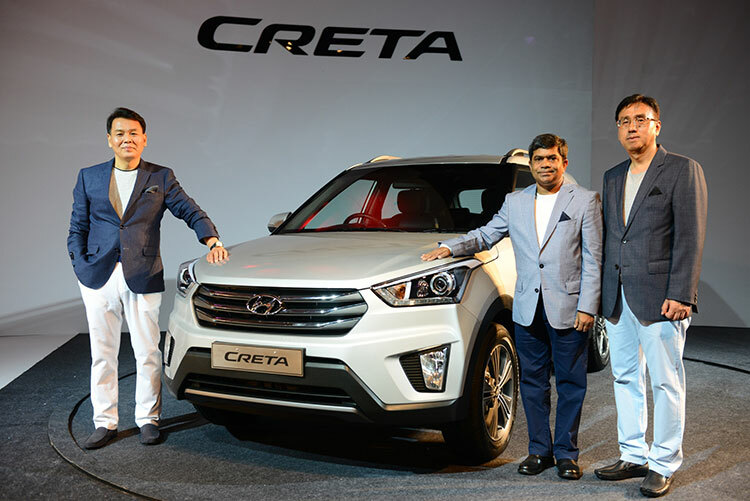 We are confident CRETA will strengthen Hyundai’s position in India and will lead a new trend in the SUV segment fulfilling customers’ aspiration of owning a ‘Perfect SUV’. We thank our customers for their overwhelming response to CRETA and strong belief in Hyundai brand. We assure them of our commitment towards meeting their high aspirations on world-class quality products. Hyundai is offering warranty with 3 Years Unlimited Kilometres to all its Hyundai CRETA customers. With this program, Hyundai becomes the first automobile manufacturer that offers customer delight initiative in the SUV segment. Front end modular structure to reduce the maintenance cost. Fluidic Sculpture 2.0 design philosophy carries forward the highly acclaimed Fluidic design theme in a more refined manner thus lending a Modern & Premium touch. Hyundai CRETA design follows a very modern and premium look which is based on Hyundai Motor’s evolved design philosophy. An SUV with a unique and innovative form, CRETA represents a complete package of style, dynamism and practicality. Hyundai Creta portrays strong road presence that embodies the aggressive stance of an SUV in its very own style. The triple slat chrome radiator grille in the front makes a bold design statement while the smoothly creased hood, lines projector headlamps integrated with LED positioning lamps, vertical fog lamps, sporty stylish skid plate and dual tone front bumper enhance the vehicle’s stylish and distinctive SUV character. Rising beltline with slopping roofline along with dynamic character lines brings a sporty and aerodynamic appeal to the side profile of this car. The rear profile showcases a very stylish dual layered step tailgate design with impactful crease lines. Hyundai CRETA’s stylish and bold appearance harmonizes well with its smart and premium interiors; achieved by a combination of high-grade materials. Hyundai CRETA interiors feature well cushioned and comfortable seats with optimum thigh and back support. Attractive seats covered in full-leather upholstery, exude a sense of modernity and premium feel. Rear seats come with 60:40 split which allows better flexibility and more storage space. The dashboard with its futuristic water flow inspired design and smart ergonomic contours make the cabin environment pleasing and enjoyable. Hyundai CRETA uses next-gen infotainment system for effortless connectivity for all gadgets and devices. The SUV’s multimedia system boasts of 7” Audio Video Navigation (AVN) and with 6 speakers sound system. The AVN system features Advance Touch interface , user friendly maps, video playing and image viewing capability through USB, Bluetooth support and rear camera display. Adding to the entertainment package is an option of 5” Touch screen audio system that features Aux-in, IPOD, USB,MP3, CD, Bluetooth support with Best-in-class 1 GB memory. Like all Hyundai cars, Creta is developed, tested and built-in keeping with the Hyundai ‘Safe-Drive Philosophy’. Beyond active safety technologies, CRETA is built to comply with Hyundai’s strict safety standards, helping it to meet the safety requirements. You can download the brochure of Hyundai Creta to know more details.